Art creating Community. Community creating Art. So we have officially moved into our “fabrica”…we have an actually studio/classroom space! 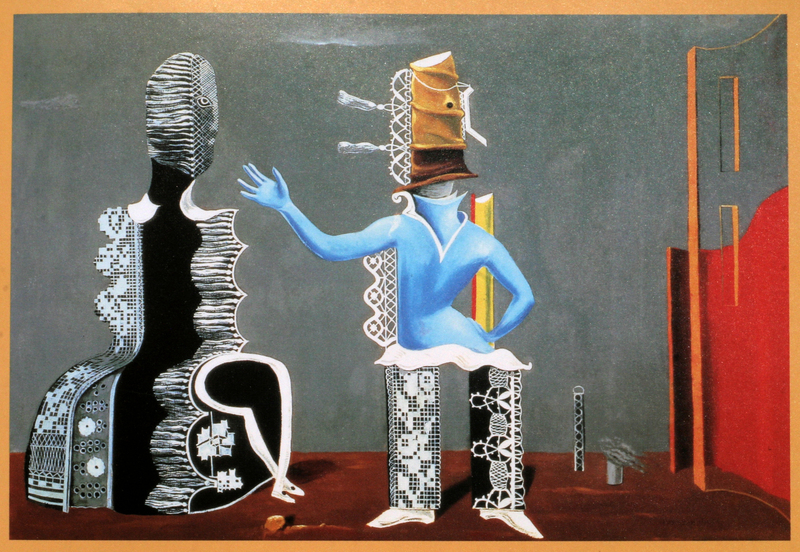 Our classes so far have focused on interpreting this Max Ernst painting, independently and collaboritively writing stories to describe the subjects and their possible situations. The second week of class proved to be a totally different experience than the first. Perhaps it was the excitement of being in this new space, of getting out of the Intornado for a period of time, or maybe it was just the moon! Regardless, the girls’ energy was a challenge. Similar to the immediate response I received from the older girls during their first workshop, the girls were intimidated, if not incapable of the creative writing process that is the primary element of each class. However, we have continued with this process of soliciting dreams, memories and creating imaginary spaces through the act of writing and drawing (with pastels, markers and colored pencils) each week. 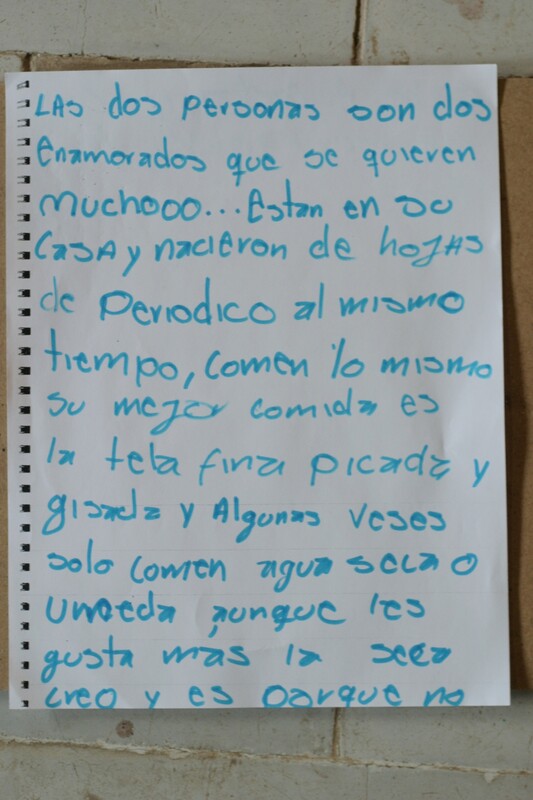 And now, four weeks in and after an incredible field trip to see El Gran Muro de Libros, they are jumping into the act with smiling faces and upon completion, timidity has been replaced with an eagerness to share their thoughts and stories. I have no doubt that the process is becoming more familiar with practice and this will continue to enfold within them individually and as a group. But I also feel that seeing the work and hearing, reading and interacting with the stories present in The Book has had an impact on how the girls feel about writing as a form of expression. Here is the Max Ernst painting and here is our collaborative story that we generated about the characters and place that Ernst created in this piece. It is quite imaginative, beautiful and comical. I have the audio files of the girls readings their biographies and will be editing those so you can hear there stories told in their own voices. 12 Nov	This entry was published on November 12, 2010 at 10:26 pm and is filed under Uncategorized. Bookmark the permalink. Follow any comments here with the RSS feed for this post. Newer: Where does God live? Making me cry happyy tears and missing you all tears. Another beautiful post.